The era of princely states ended long ago, 68 years to be precise. But many of them continue to be referred as 'royals' and any event in these families draw attention of the masses. In Central India, descendants of many states including Gwalior [Scindia] and Indore [Holkar] still have clout. 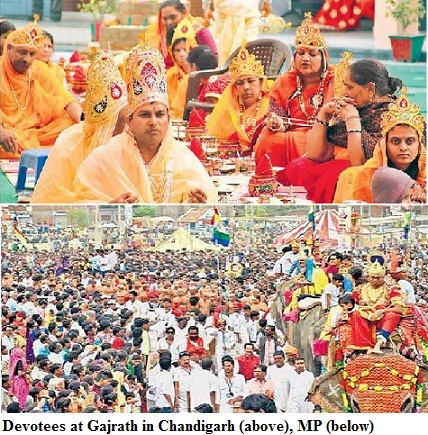 Even, the self-styled 'royals' of other states like Rewa, Dewas are visible in public space. The scions of some small states have earned more fame because of their involvement in politics. An example is Raghogarh [Digvijaya Singh] that was a small principality, while many other big states [like Bhopal] have lost their clout because they failed to enter either business or politics and frittered away their legacy. 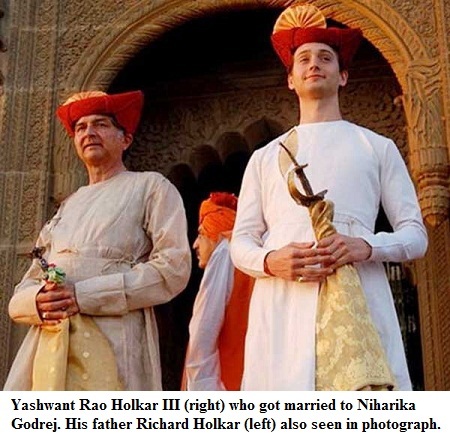 Recently, the Holkar dynasty was again in news as a scion of the former rulers of the erstwhile state, 'Prince' Yashwant Rao Holkar III was to get married with Nayarika [of Godrej family]. 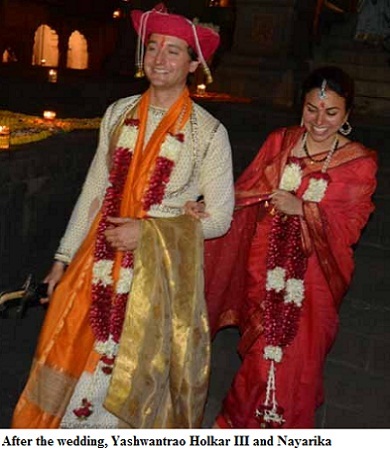 The wedding took place in Maheshwar, an ancient temple town, which was capital of Holkar state. All the rituals were performed elaborately. There was media attention, as expected. All the events drew coverage in local channels and newspapers. The marriage was a mix of tradition and modernity. Villagers from the Holkar's native village were also invited. Also, in Nazarbagh premises, the reception was held. The Holkar family met everyone and interacted with other 'royals' as well as the rural folk who had attended the marriage. Politicians, businessmen, socialites and a large number of people from outside the country, also came for the marriage. Maheshwar was the capital of Ahilya Bai Holkar, the famous woman ruler of the dynasty. 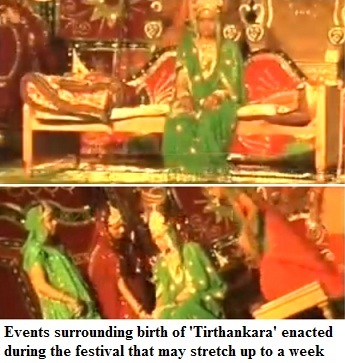 All the rituals and 'puja' were held as per the family's age-old traditions. 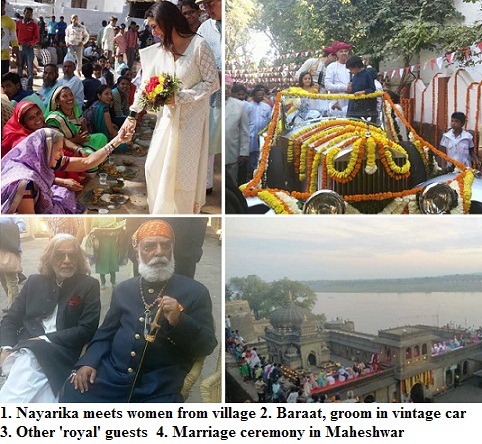 After the marriage, the couple--Yashwant Rao and Nayarika, sought blessings of everybody. They went for boat ride in the river. For days, it remained front page news for newspapers in Madhya Pradesh. See more photos of the marriage below. On the occasion of Id Miladun Nabi, Muslims across India take out processions. The unique aspects of local culture are visible in each region. 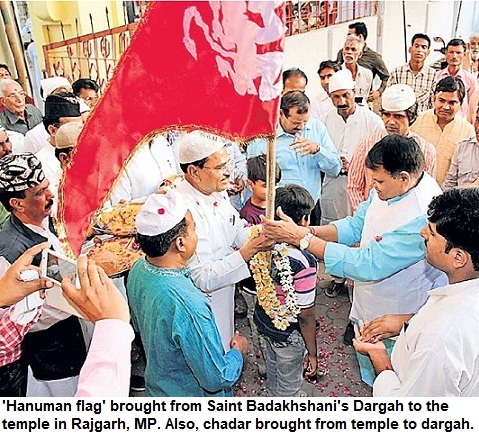 The Dawoodi Bohra Muslims also take our similar processions in states where they have strong population. These regions include Maharashtra, Gujarat, Rajasthan and Madhya Pradesh. The sect follows its own calendar and hence they celebrate festivals one or two days ahead of the day when the other Muslims hold celebrations. 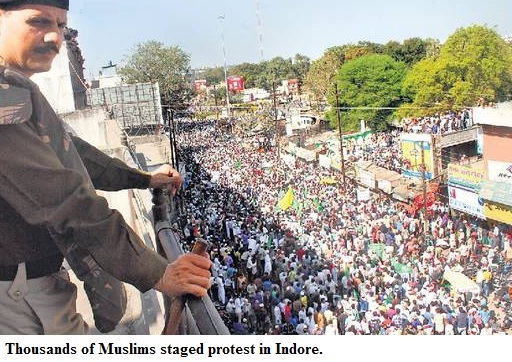 Muslims hold protest marches against Hindu Mahasabha leader but do these demonstrations serve purpose? Tens of thousands of Muslims took to the streets in Indore to protest self-styled Hindu Mahsabha leader Kamlesh Tiwari's controversial statement. 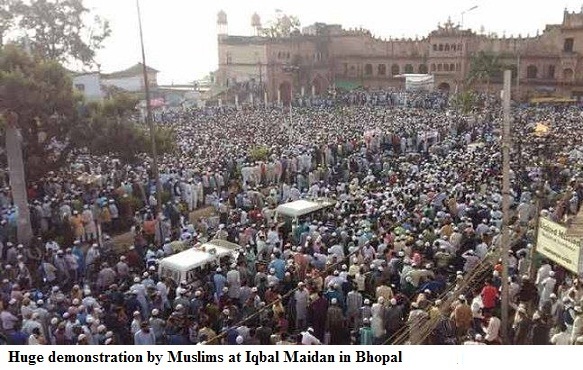 Earlier, in Bhopal, a massive protest took place at Iqbal Maidan. Besides, in towns like Raisen, Betul, Harda, similar protests have been held. It is a democratic right to hold protest and demonstrations. But what's the point when Tiwari was already arrested. Of course, it is one's right to take out processions, if you feel hurt. Now coming to the issue of why these protests hurt Muslims. In Indore, during the demonstration, there was disorder, ruckus and some youths resorted to damaging vehicles. This was duly condemned by Muslim groups. However, a section of media, painted a negative picture of Muslims. Though incidents in which right-wing groups brandish swords on 'Shaurya Diwas' don't lead to panic, image of Muslims on streets, prompted them to come up with extremely critical coverage. This gives the impression that Muslims come out on the streets only on emotive issues. If Muslims were really hurt, shouldn't they have used legal option, like filing FIRs against Tiwari. In case, police didn't register the case, the FIRs could have been filed through courts. This is done by filing private complaints, so that it would have taught him a lesson to avoid provocation. But these protests are taken as show of strength by other communities and the purpose is also not served. People like Tiwari get more attention because of these huge protests. One wondered, if similar protests, will be held on issues like promise of reservation to Muslims in UP or implementation of Sachar panel recommendations? Now, it has been 23 years, since Babri Masjid was demolished in Ayodhya on December 6, 1992. In the past, Muslim groups held demonstrations and protests on the anniversary of the mosque's demolition. But over the years, there has been a decline in such protests. Except in a few cities like Delhi and Hyderabad, there are no major rallies. 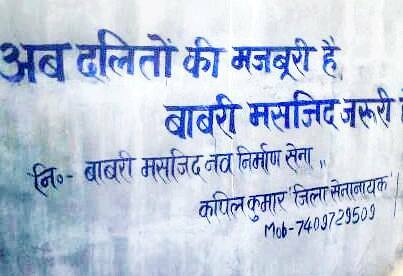 Interestingly, while a large section of Muslims have now reconciled to the status quo and don't have any hope about reconstruction of mosque on the site, Dalit groups have been running the campaign in Uttar Pradesh (UP). In this photo above, the graffiti on the wall says, 'Ab Dalito.n ki majburi hai, Babri masjid zaroori hai'. The organisation is Babri Masjid Nav-Nirman Sena which has district level chiefs in Uttar Pradesh. Dr Bhai Tej Singh, who heads Ambedkar Samaj Party, has been a moving force behind the Babri Masjid Navnirman Sena, which was cretaed a few years ago. The Sena president Dr Jagbir Singh affirmed that his organisation would continue to raise voice and participate in the struggle for building Babri Masjid, and will extend full cooperation to the Muslim brethren in this movement. On December 6, 1992, Babri Masjid was razed in Ayodhya. The then, PM, PV Narasimha Rao, had come on TV, and promised that the mosque would be built again at the same spot. However, it was a lie. He lied to crores of Indians in his message to nation. Muslims have trust in law and expected that mosque would be reconstructed, but it couldn't happen. With passing years, the hope too faded that this would ever happen. It is not just Muharram--the 10th of Islamic month of Muharram, which is observed to commemorate the martyrdom of Imam Husain and his kin. 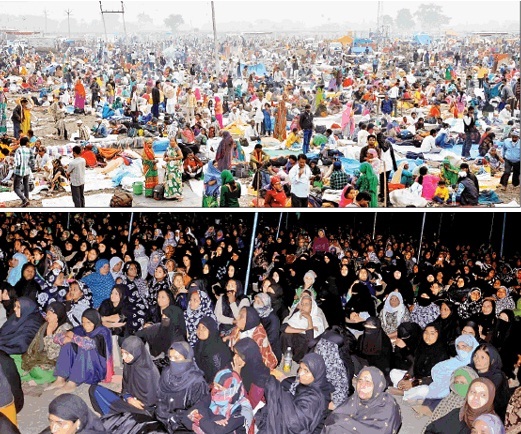 But, after 40 days of Yaum-e-Ashura, Chehallum [Arba'een] is also observed in India, widely. The practices vary from region to region, even from one district to another in a particular state. On the left is the photograph of a woman walking on fire--embers [burning coal]. This is to express devotion towards the martyrs who were killed in Karbala, which is situated in Iraq. This particular photo is from Damoh, part of Bundelkhand region in Madhya Pradesh [MP]. Carrying the kid, she walks on fire. Hundreds other follow this practice--from Damoh to Datia. This ceremonies take place on Chehallum and continue for 1-10 days. In Jaora, the ceremonies continue for many days. In Jaora where Chehallum ceremonies continue for days and lakhs come from all over the country, and even abroad, thousands walk on fire, not just the select few. The other photograph is also from Damoh. A boy walks on embers. Irrespective of their sects, Muslims and Hindus perform these rituals. For Hindus, it is age-old practice. They feel their kids would get blessings from the Imam, and hence bring kids along, during these rituals. These three incidents have occurred in the last couple of days in India. Patients go to these camps for cataract surgery, hoping to have their vision cleared. Instead, their vision is lost, due to lack of post-operation care and indifference of authorities. In fact, it clearly shows the dismal state of health care in government-run camps in India. The latest incident has occurred in Barwani in Central India. As many as 43 persons, many of them women, lost their eyesight completely. It is a real tragedy for these victims. For, most of them, now face livelihood issues. Absolute apathy, lack of post-operation care in such camps where mass surgeries are held. Doctors come at camp, operate and leave. If patients have complaints, none bothered. Within days, infection spreads and vision is nearly lost. "Ankh hi chahiye, muaawza nahi". 'I want my vision back, no other compensation would do", says a woman. "Hubby dead, how will I raise kids", she said as it is she who works to eke out living for her family. Yet another sad aspect is that mostly poor are affected and hence there is no major outcry. Departmental action hardly improves the situation. A few suspensions here and there--that's the governments' style to tackle these botched up surgeries. However, lack of sanitation and issue of infections at these camps, don't get priority. Committees are formed and asked to give reports. After months, when reports are prepared, the recommendations are forwarded but there is again, no action, no change on the ground. Isn't this a tragedy that this is the situation of healthcare, 68 years after independence? A huge gathering took place at Husain Tekri Sharif in Jaora town in Central India. Muslims, especially, Shias, from all over the world, descended here to observe Chehallum. The Chehallum rituals are held 40 days after Muharram--the 10th of Ashura that signifies martyrdom of Hazrat Imam Husain and his family members at Karbala. Husain Tekri is a famous shrine in Jaora town that is located in Ratlam district of Madhya Pradesh. Jaora was a princely state in pre-independent India, ruled by a Nawab. This year, nearly 3,00,000 people participated in the rituals. The devout from all corners of the country, camp here in open spaces, stay in hotels, lodges and the guest houses. The arrangements are held on a large-scale. 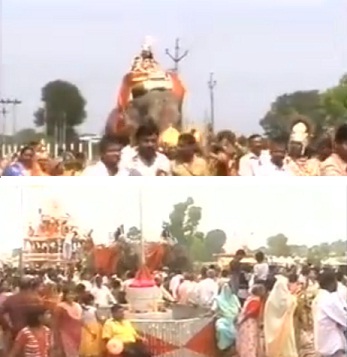 The events are organised on an area spread over 100 bighas. The devotees pay obeisance at the 'rauzas' of Imam Ali and Imam Husain, amongst other shrines. The unique aspect that tens of thousands of people walk on embers [burning coal]. There is a large number of pilgirms from outside the country who arrive here, stay for days, attending the rituals. 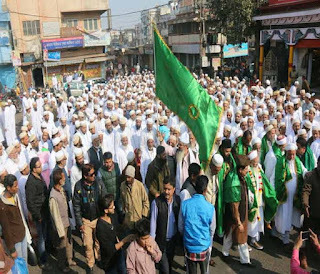 Though Chehallum is observed in places with strong Shia population like Lucknow and Hyderabad in India, the gathering in Jaora is among the biggest in the country. A large number of Sunnis and Hindus also attend it. This post is about a trend I have noticed over the years--how people change drastically on social media. 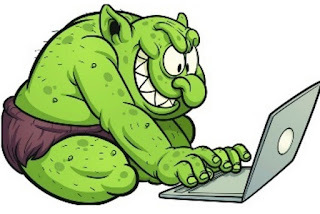 Over a period of time, they create their own 'ghettoes' on the internet, avoid opposing views and end up isolating themselves from rest of the world. Now there is nothing wrong about interacting with the like-minded but here it is not about people who share interest in tennis, gardening or literature. Rather, it is about how people choose to interact with those who share similar ideology, then over a period of time their positions get hardened, they get more drawn towards those people, until they create their dream world--of all those who share their ideology. There was a nice guy who was active on Twitter. In the initial years, he was friendly with people of all sections but then everybody felt he was getting irrational on certain issues. Ideology now prevailed over sane thoughts. Now, he doesn't fight with the oldies but simply avoids the few of them, he still follows. Most of the time, he is busy fighting the 'Rest', leading an army of Twitter-walas of same ideology, who launch mercilessly attacks on those with diverse opinions, in order to create a world of their own liking. It is not just about Hindus and Muslims, it is also about left-wing and right-wing, the 'sickulars' and the 'bhakts'. I have seen this affect their personality. This delusion that they have already created their utopian world on internet and are on way towards changing the world, reflects in their real life too. Just see how these ghettos come up on social media, graduating from one level to another, until you are in the Ghetto. 1. A 'like' or 'Retweet' is an incentive on social media. Criticism is unwelcome, those who criticise aren't good guys, are they! 4. You will like their post, they will promptly like yours, after all, you share the same 'great ideals'. 5. You are happy with those who 'like' your post, you drift towards them even more, get into that world. 6. On Twitter too, you un-follow those whose opinions are not in sync with your beliefs, except may be a few old friends. immersed in your ideology--sectarian, communal, your positions get hardened day by day. 8. So now you are getting the dose which you want, any criticism, diverse thoughts or opposing idea are unwelcome and in any case these 'uncomfortable or irritating people' are not even reaching you now. You have blocked or ignored or filtered them by now. 9. 'Those others' in your friend list or followers list are just tolerated, and you simply wish them on birthdays, anniversaries. 10. Of course you are talking publicly and you are on social media, but it is just like a caste-linguistic-religious ghetto where you are happy with your own kind, no diversity. Now, you are in your dream world.